I truly believe that every difficult experience we face teaches us something important about ourselves. I experienced this first hand when my first job out of college, a job I absolutely hated, led me to discover a passion for public policy. Long, hard days at the office require a delicious, filling, and healthy lunch, so you can be at your best. 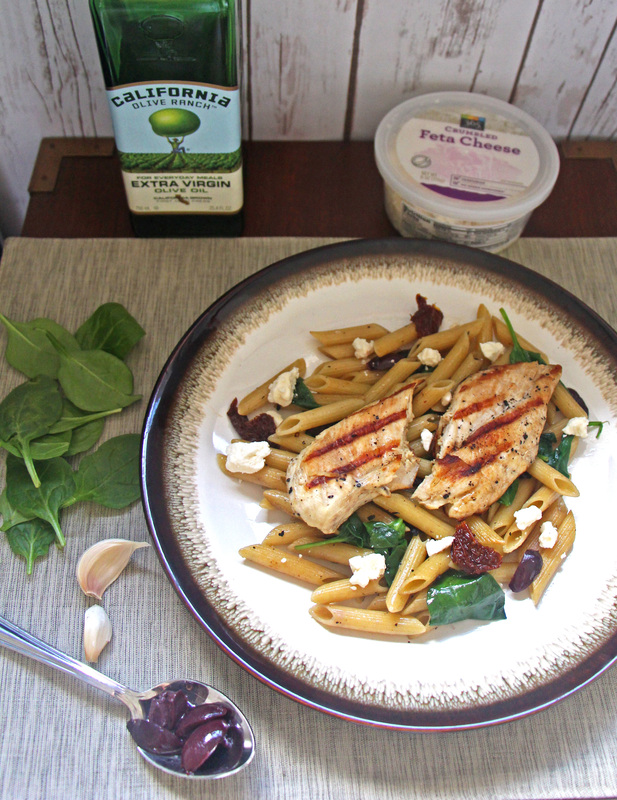 My Mediterranean Grilled Chicken Pasta is delicious and chock-full of flavorful ingredients! Pack this lunch for work (or school) and I promise it’ll make your work day a little more enjoyable. Who hated their first job? If you did, you have my utmost sympathy. I know what it feels like. I, too, was a victim of the crappy first job. First jobs are tough. A lot of us don’t know what we want to do straight out of school and with the job market being as saturated as it is, we’re honestly just shocked/thankful that someone hired us to begin with. Never mind, if it’s something we’re passionate about or not. Just show me the money, so I can move out of my parents’ house. That was pretty much the story of my first job. I graduated with a degree in International Relations and ended up applying for every job I was even remotely qualified for. This landed me into the office of an extremely cranky (read: downright mean) divorce and probate lawyer. The 3 months I worked there were some of the worst of my life. My boss was rude to me, the commute was long, and I didn’t enjoy the work. Lucky for me, every gray cloud has a silver lining. I was so miserable at my job that I was constantly in search of ways to escape. I knew I wanted to go to graduate school at some point, but I didn’t know what I wanted to study. So, I spent every single lunch hour sitting at my desk in the office researching master’s programs. This is how I came across a little something called a Master of Public Policy. It had everything I wanted in a career path: qualitative research, statistical analysis, policy writing, and, most importantly, I could help a lot of people. Since I spent every lunch hour at my desk, I always brought my lunch from home. I had super long days, so I needed something healthy and filling. 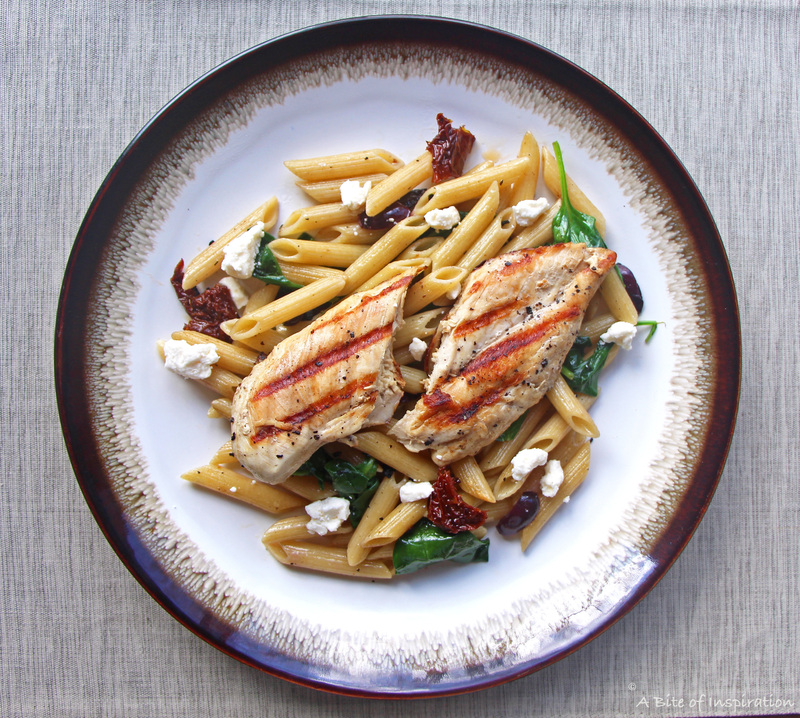 One of my favorite go-to work lunches was my Mediterranean Grilled Chicken Pasta. This lunch has everything you need to fuel your work day: protein, carbs, veggies, and amazing flavor! This dish packs really well and tastes just as good the next day making it the ideal lunch for work or school. Just pack the pasta and chicken together in a food container (the LunchBots Clicks Stainless Steel Food Container is fabulous!) . Then, pack the feta cheese in a separate small container and sprinkle it on at lunch. Super easy! The best thing about this lunch is that you can enjoy it hot or cold. It’s delicious both ways! Even though, I don’t work an office job anymore, I still make this pasta at least once a week for lunch or dinner. It’s just so simple and delicious. This recipe serves one, but you can easily double it or quadruple it to feed more. If this lunch could make my difficult work day at that law office more tolerable, it’s pretty much a miracle worker. 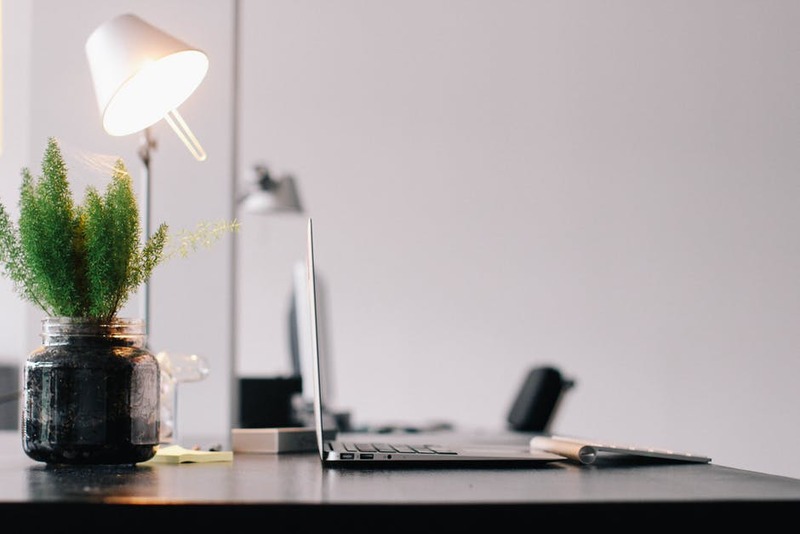 Even if you love your job, tough or boring days are bound to arise. This easy work lunch will give you that break you’re looking for, no matter how hard you’re working. Enjoy at work, home, or school to make your day delicious and a little bit brighter. You deserve it! ? Put chicken breast on a plate. Rub each side of the chicken with a garlic clove half. Discard garlic. Pour sake over the chicken breast and turn chicken over a few times, so the sake covers all sides. Season both sides generously with salt and pepper. Heat a lightly oiled grill pan over medium-high heat until hot. Add chicken to the grill and cook for 5-6 minutes on each side, turning once, until cooked through. While the chicken is cooking, heat olive oil in a skillet over medium-high heat. Add minced garlic to the pan and cook for 1 minute until fragrant, stirring occasionally. Add the sundried tomatoes and olives to the pan. Cook for 1 minute, stirring occasionally. Add cooked pasta to the pan. Stir fry for 1-2 minutes. Add baby spinach. Cook for 30 seconds or less until just wilted. Season with salt and pepper to taste. Remove from heat. Put pasta on a plate and add chicken breast on top. Top with feta cheese. Enjoy! Saw this on Instagram and thought it was such a simple and flavorful meal! My favorite kind of meal. Thanks for sharing! Congrats on following your passion! It’s especially hard when you already have a job to do, but way to make the most of the time you had. As for the dish – Yum! This uses some of my favorite flavors and is a perfect lunch on the go or family dinner. Aww that’s sweet. Thank you, Alison! It was a bit tough to make the switch, but definitely worth it. 🙂 Mediterranean flavors are some of my favorite too! Enjoy! oh wow this looks incredible!I wish i could reach through the screen to taste some! Thank you so much, Veronika! This dish is so easy and quick that you can have it ready in no time! Almost as fast as reaching through the screen… 😉 Enjoy! This looks fantastic! We have the saddest staff kitchen, and it has absolutely no seating so everyone just eats at their desk, which means I’m always on the lookout for a lunch to brighten my day! Not just for lunch! This would make a great summer dinner too. I love the flavours here – can’t wait to try this. I’m also quite intrigued by the use of sake in this dish. I use sake a lot in Japanese cooking but never thought to try it in a Mediterranian dish. Thank you, Romain! I use sake a lot in all sorts of dishes. It really boosts up the flavor in meats. Hope you enjoy! 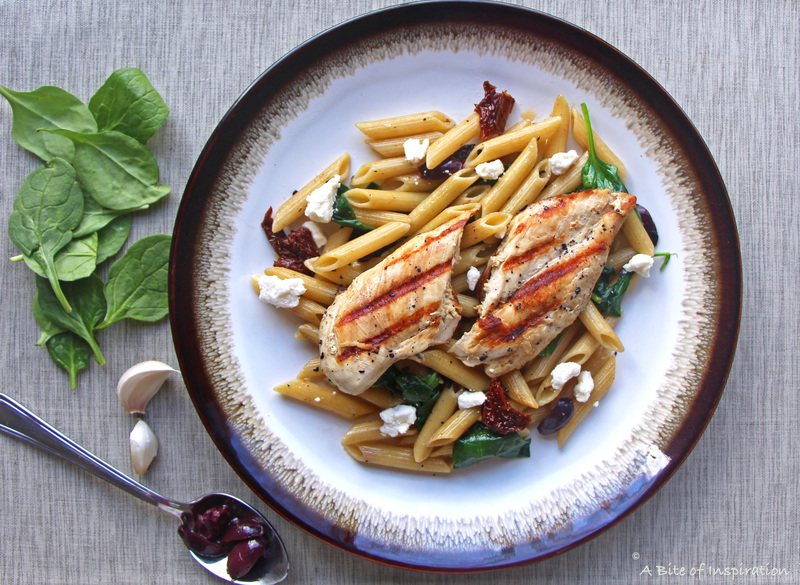 This Mediterranean chicken pasta sounds absolutely amazing. I love every single ingredient you’ve included in your recipe, thank you for putting them altogether! Congrats on escaping your first job, it sounds horrible! Your story of working hard and focusing on your dreams is inspiring, thank you! Thank you so much, Erica! Always happy to inspire! 🙂 So glad you like the recipe– enjoy! Simple, delicious, and nourishing – I could eat something like this every day of the week and not get bored with it. Thank you so much, Renee! I eat this dish at least once a week and I never get bored. It’s so tasty and easy to make. Hope you enjoy!